Carla: I chose New Zealand because I always wanted to visit this stunning country; it was on my list of countries to visit since a while. You rented a camper van to travel the South Island, how was it? Carla: I got a really good deal for two and a half weeks but the car was not as new as I wish it would have been. I used it to visit the South Island in winter away from the crowd and it was pure joy to be alone in the middle of those sceneries. How would you describe your agencyr’s services? Carla: It was fast and efficient and I had a very personal service. It was a cheap way to give me the head start that I needed as I was only here for 3 months. I quickly became independent and only caught up with them when I needed their services. Carla: It was definitively the paperwork, because I genuinely hate doing it. Carla: I was a French language teacher as it was my profession already; it was surprisingly easy for me to get a job. Carla: Don’t stay in a big city like Auckland for too long. New Zealand is much more. You have to see both islands, they are so different and both amazing. Carla: It was to improve my English fast enough and getting used to the thick Kiwi accent, haha. I have achieved all of them but from now on I will travel alone, haha. 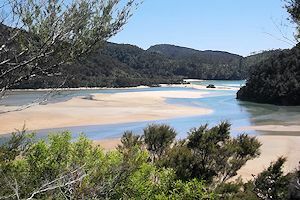 Carla: In the South Island Jackson Bay was the highlight of my trip. The hike toward the tiny beach is amazing. Would you recommend Working Holiday Starter to your friends? 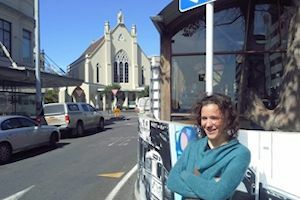 Carla: Yes, it is a good start and the staff are really passionate to make us discover New Zealand and share experiences!